Kathryn Thomas, CEO & Founder of Y4C, leads outdoor yoga class as part of JU’s Healthy Campus Program. Movement of any type, from running to walking to standing, and yes, even fidgeting, has positive health benefits. Yoga is another type of movement that has recently become a popular way to improve wellness. And for good reason, considering that research is continually revealing its physical, mental and even social health perks. So, if you’ve been skipping yoga for a more heart pumping workout, know that Harvard University researchers found that yoga is just as healthy for your heart as brisk walking and biking. It’s time to start a movement and join the almost 38 million Americans who do yoga, according to a national survey by Yoga Journal. All you need is a mat (or chair) and you are ready to get your Zen on. Whether your goal is to touch your toes, calm your mind, or get heart healthy, yoga has many benefits. It is also an activity that all ages, backgrounds, and health and fitness levels can do. 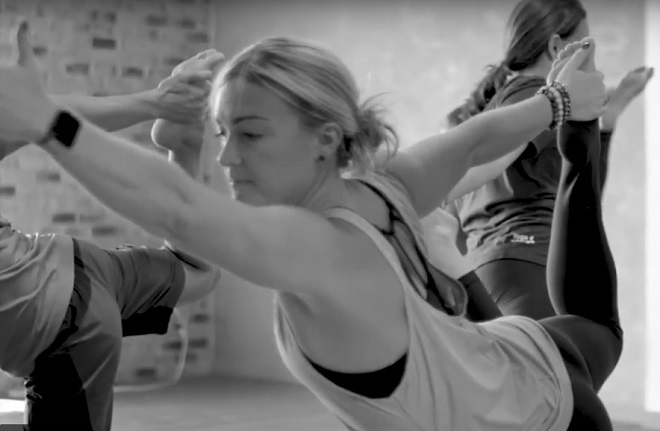 Wherever you are on the yoga spectrum, there is a class for you. Yoga 4 Change (Y4C) is a purpose-driven yoga currently gaining momentum in Jacksonville. It helps to give hope and self-confidence while improving overall health to veterans, at-risk youth, those dealing with substance abuse, and those incarcerated. Prisons, rehabilitation centers, and juvenile detention centers may not seem like typical settings for the breathing, stretching, and meditating found in yoga studios, but according to Kathryn Thomas, founder and CEO of Y4C, this is all the more reason to do it. 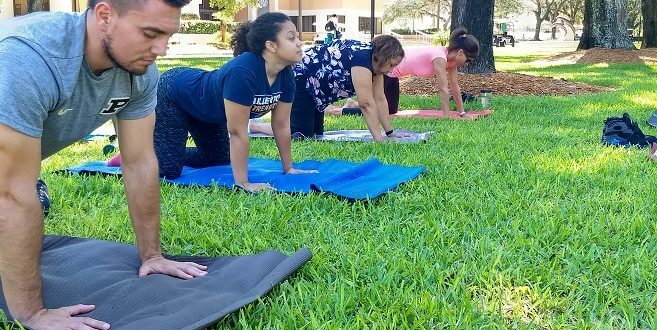 Watch Yoga4Change working with veterans across northeast Florida. Kathryn, a helicopter pilot in the United States Navy, was forced into early retirement after suffering a serious leg injury while on deployment. After struggling with a challenging rehabilitation, the realization that she would never fly again, and feeling a loss of identity, Thomas found yoga as a way to recharge, refocus, and regain her strength and purpose. 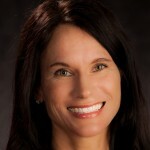 As a result, she was driven to share the positive impact of yoga with others dealing with stress and life challenges. Since its inception in 2014, Y4C has positively impacted the annual health and empowerment of more than 30,000 Jacksonville veterans, at-risk youth, those dealing with substance abuse, and the incarcerated. On average, Y4C participants have reduced stress by 50 percent, improved their mood by upwards of 40 percent, and decreased blood pressure by an average 15 points. But let’s not stop there. When something works, we must keep the momentum going. It’s time to create a movement, and Y4C is doing just that by taking its mission to the Jacksonville and beyond. The result is the start of a Movement 4 Change. 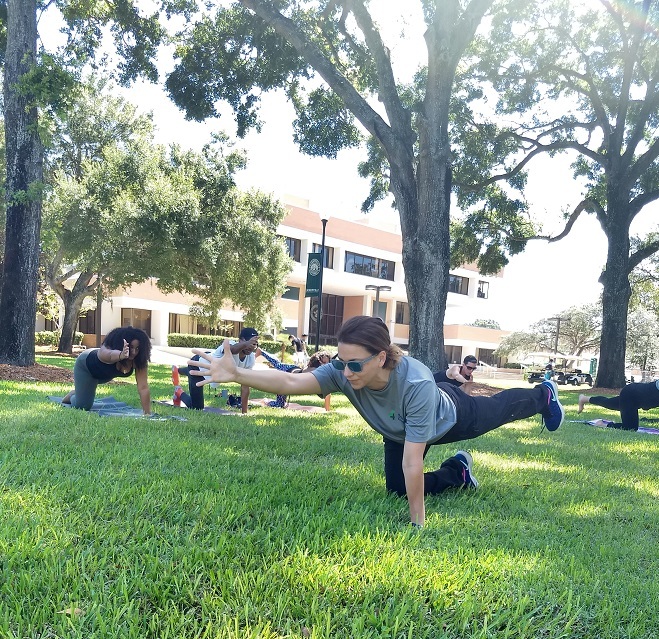 This fall, the faculty, staff, and students of Jacksonville University are experiencing the benefits of Y4C in a weekly class on the University’s iconic Science green.